Fuel oil delivery, oil prices change daily. 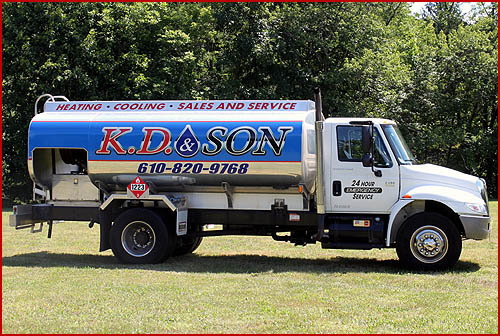 Discounted oil price applies to orders of 150 gallons or more. Minimum delivery is 100 gallons. First time customers & orders under 150 gallons will either be pre-paid, or an adult must be present to pay the driver upon delivery. Cash price refers to paying on the date of delivery, not to the method of payment. Payment received by cash, check, or credit card, upon delivery, will be given this price, the day of delivery. If not paid the day of delivery Method of Payment options below. Manufacturers recommend a yearly tune-up of heating and air conditioning equipment. Heat pumps are recommended to be checked twice yearly, in spring, preparing for the cooling season, & in the fall for the heating season.